I have been so happy with my skincare routine lately that I had to share all the products I'm using right now. I've truly never been happier with my skin. And considering it's the middle of the winter I'm shocked my skin is looking so amazing. 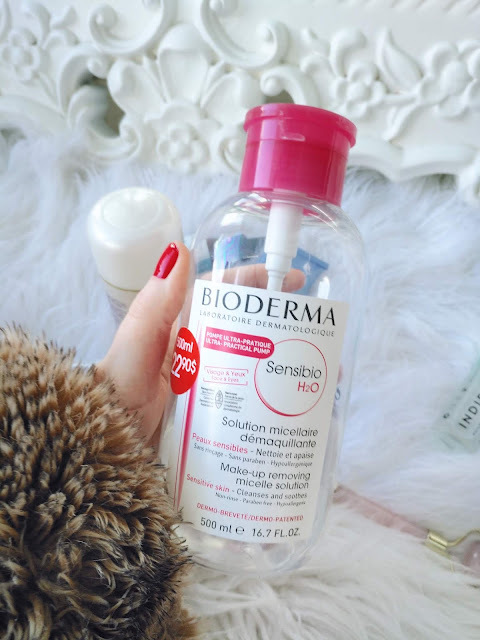 I start off by removing my makeup with Bioderma micellar water for sensitive skin (using cotton pads). It cleanses and removes my makeup so well. It's so soothing on my skin and really helps diminish any redness on my skin. It also cleanses my skin enough that I don't need any additional cleanser. I buy this product at Shoppers Drug Mart. The next step is using Biologique Recherche Lotion P50T toner. This exfoliates, moisturizes and reconditions my skin. If I were to recommend one product from my skincare routine I would recommend this. It's truly a game changer. My skin instantly looks smooth, my pores are smaller, any redness is gone and moisturized. It really is a miracle product. I apply this product with a cotton pad and use this about 4-5 times a week. I bought this product at One 2 One Studio. 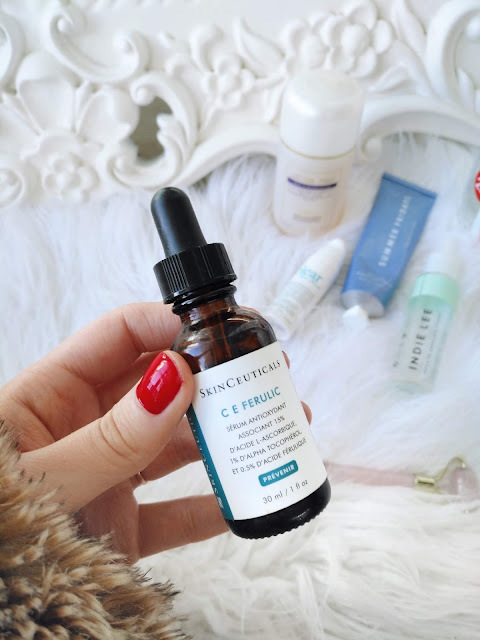 My next step is applying two drops of SkinCeuticals C E Ferulic serum. I personally think this firms my skin and brightens. I love how this feels a bit thicker and really helps moisturize my skin. I was very lucky to get this gifted to me so I had no idea the price until a few weeks in. This is definitely a more expensive product but I personally think its worth every penny. 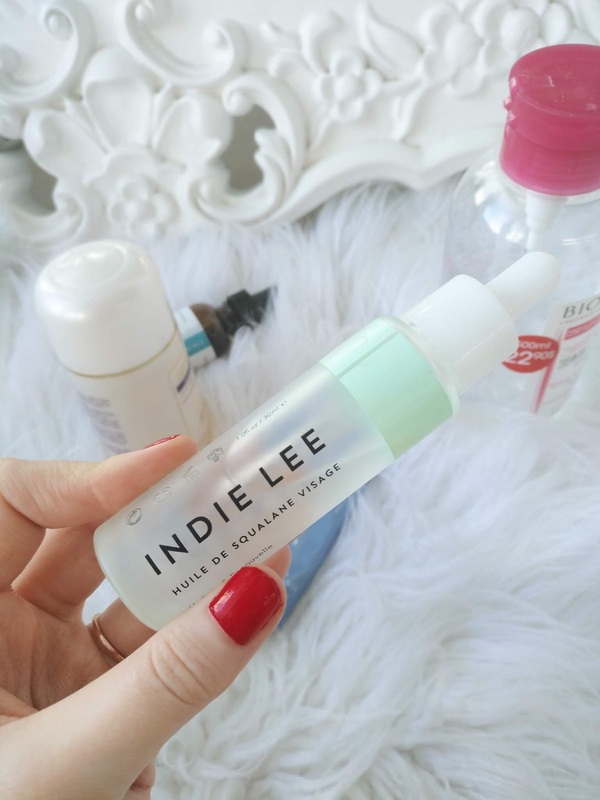 The last step is using two drops of the Indie Lee Squalane Facial Oil. I'm not even using a moisturizer right now which is super rare for me, especially in the middle of the winter. This combination of products are moisturizing enough and all I need. I love this oil. I personally think the SkinCeuticals C E Ferulic serum and the Indie Lee Oil is a winning combo. The Squalane oil is a lighter oil and feels wonderful when you apply. I will sometimes use one drop of this oil on my face before applying my makeup. I bought this at The Detox Market. 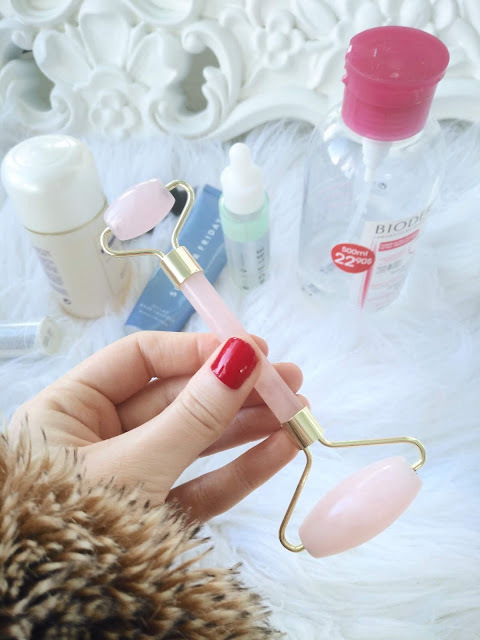 When I finish applying my oil I love using this Rose Quartz Facial Roller maybe 4-5 times a week. Does it actually do anything to my face? I have no idea. But I really like how it feels on my face. Throw it in the refrigerator for a little bit and it will feel so cool and refreshing on your face. I bought this at The Detox Market. 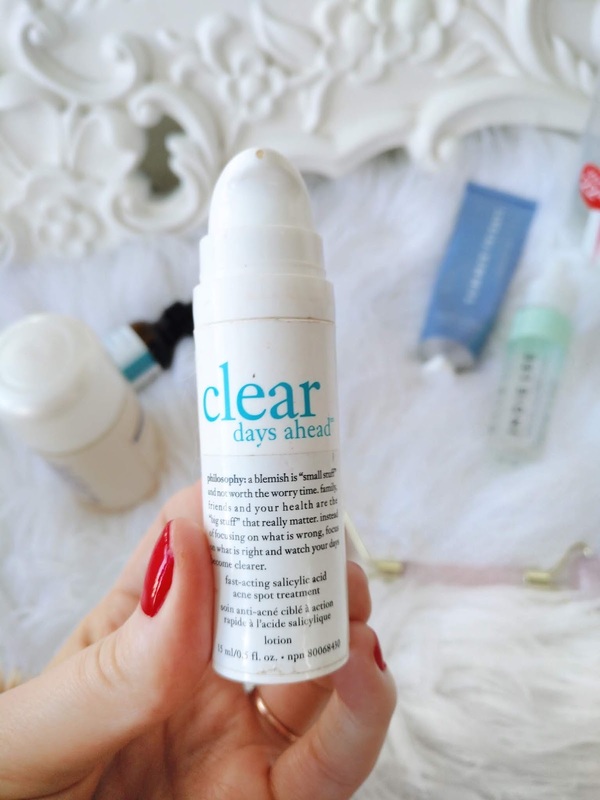 If I get the random breakout I really love applying Philosophy Clear Days Ahead acne spot treatment. I apply this to any spots on my face right before I go to bed and I always notice an improvement in any pimples the next morning. I bought this at Sephora. 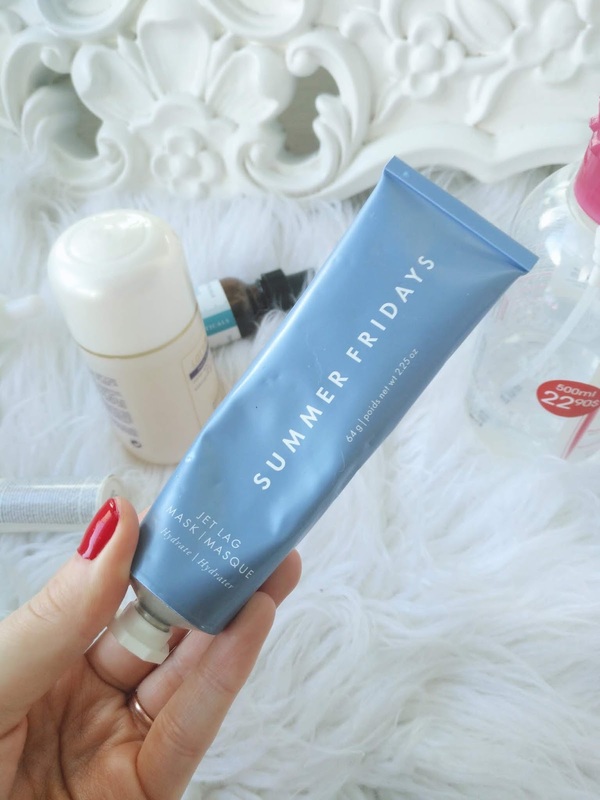 The Summer Fridays Jet Lag Mask is the newest product in my routine and at first I was totally skeptical of it. You probably have seen this on Instagram and its totally blown up and I think every influencer uses this. I wasn't sure if it was going to be worth the hype but I had to try it. It totally is! This is so moisturizing and rich and wonderful. I use this when I get out of the shower and sometimes before I apply my makeup. I bought this at Sephora. Although I am very happy with the products I'm using right now I'm always on the hunt for something new. 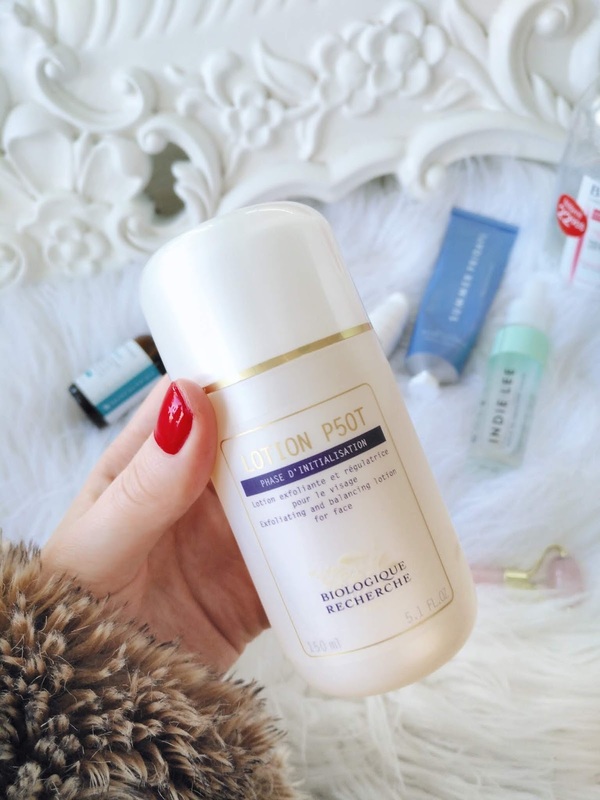 What are some of your favourite skincare products! ?